Woman. The one word that evokes a sense of concoction of feelings in me every time I hear it. You see, the word 'girl' makes me think silly, carefree in general. The word 'lady' makes me think of a person who is perfect, someone who is classy. But the word woman, it somehow makes me think of a person whom I can't describe in one word, or a sentence. 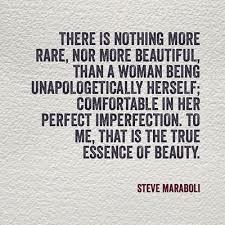 A woman is someone who is carefree yet responsible, sassy yet strong, tough yet oh so beautiful. A woman is a perfect blend of all the qualities, and the uniqueness in each woman is her perfect imperfections. And I think being a woman is power in itself. So when I ponder over woman in leadership, its a million thoughts taking over me. In my opinion, when a baby girl is born, the strong possibility of a leader is born. She possesses in her the innate ability to better just about anything. May be its the way we women are engineered, the way our brains are wired or the way we perceive what happens around us, its almost impossible to find women in complete despair, a hopeless state of mind. A woman in the worst possible situation, even when all odds are against her will still possess the bravery to get through it. Such is the mental strength and emotionally possessed by women. Being a leader isn't just inspirational stories and motivational pats on the back. Being a leader is about taking the first step, about staying strong and about holding on. And who better than a woman to illustrate every quality just by being herself? Today, there are thousands of women out there winning the world by their pinky fingers. Women are taking over any field one can think of. From academics to medicine, from engineering to chartered accountancy, from law to theater, from art to guns, women are showcasing brilliance. All of this while she is also being a mother, wife, sister, daughter and more. 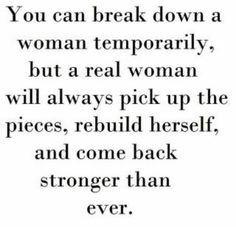 I think its the very nature of glowing after being broken is what makes a woman a wonderful leader. One can never break a woman forever, really. A woman is an unstoppable force. Like phoenix, she will rise from the ashes, from the fire that tried to burn her. She is nature. She is the strength of carbon, the shine of diamond. Yes, she is carbon under pressure. Her cells possess the same elements that lionesses are built of. Her beauty is beyond the gems that adorn her, her beauty is the strength that fuels her soul, the fire that burns in her. Yet, her fire doesn't scorch, its warm. From teaching her child the first syllable and the first step, to righting the wrongs, a woman is so much more than what she perceives of herself too. Women are superheroes with no capes on. A woman, thus, is a leader in herself. When armed with education and freedom, she conquers the world like the queen that she is. Nothing can ever put off the flame in her. Her very nature of the leader in her,fans the flame. Her fire will light the sparks of inspiration and determination in anything she focuses on and there is just no stopping her. A woman has always been the force that she is, except she has been invisible. Yes, she is invisible to the eyes of any society that doesn't respect her. Women wouldn't be needing protection if they are respected. To tap a woman's potential, to harness the energy and brilliance of her existence is an art in itself, its a beauty in itself, and the path to progress in itself. Here's to the strong women, the leaders - may we know them, may we be them, may we raise them. PS: This post is a contest entry to the contest held by www.shethepeople.tv on the topic ‘Women in Leadership’. This entry can win an all-paid expense trip to an exciting destination. PPS: You guys know the woman in me with whom the topic struck a chord. PPPS: The images used do not belong to me, I have provided the links to the sources. If it belongs to you and you want me to take it down, please shoot me a mail at lifeisafairytale14@gmail.com. PPPPS: Visit SheThePeople.tv to know the fantastic work they are doing. Like them on Facebook and follow them on Twitter, I am :) They are also present on Instagram and Pinterest. I am providing the links here for your reference. women is so strong and open...is good for our community..
because women is independent.. so our planet is safe and secure..